Seaquant is a Blacklist Hunter and a servant of the Zoldyck Family. Three years before the beginning of the story, he and 100 henchmen came to attack the Zoldyck estate in Kukuroo Mountain, but they were annihilated by Canary, a mere 10 year-old female trainee butler at that time. Greatly shocked, he begged to become a servant of the Zoldycks. 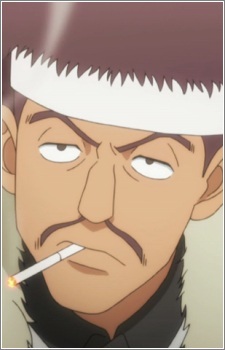 He is now good friends with Zebro, the old groundskeeper of the Zoldyck Family. Seaquant first appears when Gon, Leorio and Kurapika are trying to find a way to meet Killua in the Zoldyck Family's estate. He and Zebro allow the trio to stay in their house and train with their heavy equipments until they are strong enough to open the Testing Gate. After the death of Chairman Netero, he appears at the Hunters Association's headquarters to participate in the election for the 13th Hunter Chairman.